I always find it hard to know where to start when I am writing a blog entry. I guess I will just start where I left off, back at 2013. From a race point of view, it was a TOUGH YEAR! After a solid win at the Forestman things just went from bad to worse. At Roth my body AND MIND just broke down. I crossed the finish line totally and utterly gutted. 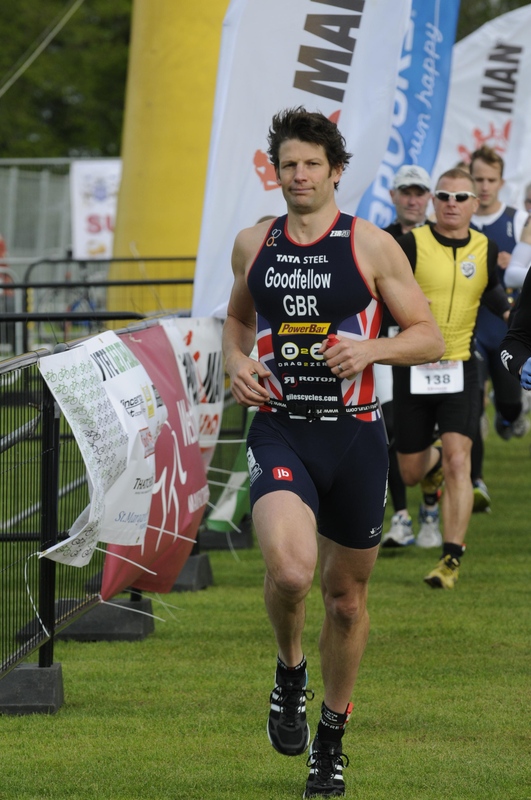 Ironman Copenhagen felt like a bit of a nothing performance and then there was Challenge Henley ….. Even now, when I think back to that day, it makes me wince. The scars left are just too raw. Mollie arrived on the 16th October and the last 10 weeks of that year were a blur. Best blur of my life, but a blur nonetheless. In January, I found myself adopting the ‘Forest Gump’ approach to training. ‘I just felt like running’ and so I did – ALOT. In the first 4 weeks I ran 400km over the Oxfordshire trails and as the never ending rain hit the UK in February, I just ran some more. Over the next 4 weeks I ran 500 ridiculously muddy km’s and topped out it off with a 151km week at the beginning of March. Half the time I was running in the dark and torrential rain and I have to say I LOVED it. Every run felt like a real adventure and the wildlife you see at night is pretty awesome too 🙂 I was doing a tiny bit of swimming and biking, but no more than 2 swims a week and 3-5 hours on the bike. It was all about the running…. Up till now I have always considered myself a strong swim – biker who just about (some of the time) manages to hold on during the run. During those 9 weeks and 1051km of running in the mud, something changed. I could feel myself actually becoming a ‘real’ runner. It may sound a bit corny, but that is the best way I can describe it. During the course of March and April I kept up the high run volume while shifting the focus back to the bike. If felt SO good to be back riding again AND somehow, the power numbers where still there – go figure? The body is a strange beast! I remember entering the long course POWERMAN UK back in the middle of January. In the years gone by I would have never even considered entering a long course duathlon. Running has always been my weakness and I would always choose events that played to my strengths with a strong swim & bike focus. I guess I had decided it was time to face my weakness head on. I entered the race on the 16th January and that…… was that. So I found myself at the start of my 2nd ever duathlon, excited and a little nervous! The first 10km – The plan was to hide in the middle of the pack. Yeah, who was I trying to kid. I am far to competitive to allow myself to hide in the middle of the pack. So off I raced out at the front. Doohoo! It took me about 400m to calm down and slow to a more sensible pace. By then a couple of guys had taken the lead and I was happy to follow them around the 10km holding a comfortable pace, what ever that was? I had made the decision to race without a watch. To many times in the past, I have looked down at my watch to see numbers I did not want to see. This then would start to play on my mind and negatively effect my race. So this time round I was going to race on feel, race to the very best of my ability and… be happy with that, knowing I had given my best. Back into T2 and again a unusually quick transition for me. I headed out onto the run with no idea how far behind second place was. I was in my own little world and just enjoying every second out on the course. I was not pushing the pace but focused on running smooth with the plan to push during the last third of the race. And….. I did just that. The laps flew by and before I knew it I was heading for home. Crossing the line it turns out second place had been 100m-200m behind me all day. I had been in a real battle for the win and not even known about it!!! After the turmoil of last season, it meant so so much to me to cross that finish line PROUD of the performance I had done. Not only that, for the first time in my life, it felt like I had actually won it on the run. And that is something I thought I would NEVER be able to say! Thank you to the whole POWERMAN UK team for putting on a quality race – I loved every second of it. Here is to sport and never saying never……..